I just left a church in Pomona California where I performed. I experienced such warmth and true affection that I’m inspired to pull my car over and pen thoughts to paper. I travel the world, literally, and I’ve met with people from every station in life. I’ve spoken at, or performed in, synagogues, temples, mosques, churches, schools and even a few smokey bars but there is something about presenting before a room full of people, passionate our history, that imbues me with a deeper sense of purpose. Less than 10 minutes ago I was in a room filled with people singing loudly with me, responsive to my insights, and not ashamed to shout words of encouragement during the performance. We laughed out loud and shared in the storytelling. At no time did I ever feel less than held in high esteem by those present. We shared in a level of timing and communication that can only be described as transcendent. The pastor of the church, Pastor Smith, came to me after my performance and pulled me into a deep, heartfelt embrace before inviting me back to perform for more of his parishioners. What a gift. 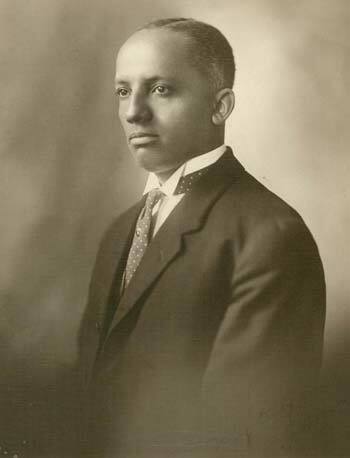 I like to think that I, and many others who do the type of work that I do, are continuing the legacy of Carter G. Woodson; the man who inaugurated, in 1926, a week recognizing the contributions of our ancestors to the world. With my life, I am attempting to represent with as much precision, class and integrity the inheritance of our history. The men and women of Primm Tabernacle AME Church in Pomona fed me in a way that is not easily described in words. I am humbled by the outpouring of love and respect heaped upon me during our time together this afternoon. When my brother Jeff or Pastor Smith call, you can rest assure that I will be returning to do what I do for the good people of Primm Tabernacle AME Church in Pomona.